In San Francisco, Ernest Quintana, was dying due to chronic lung disease. The Quintana’s family is was very devastated after a machine came into the patient’s room in the intensive care unit and told the 78 years old man that he only has a few days to live within a few days. Quintana’s daughter, Catherine, said “If you’re coming to tell us normal news, that’s fine, but if you’re coming to tell us there’s no lung left and we want to put you on a morphine drip until you die, it should be done by a human being and not a machine.” Sad to say, Ernest passed away on Tuesday which was two days after being brought into Kaiser Permanente Medical Center emergency department in Fremont. Senior vice president of Kaiser Permanente, Michelle Hames, called the situation highly unusual. The officials regret falling short and also for not meeting the patient’s expectation. Moreover, the hospital defended its use of a machine. The hospital’s policy is to have a nurse or doctor in the room when giving the consultation. 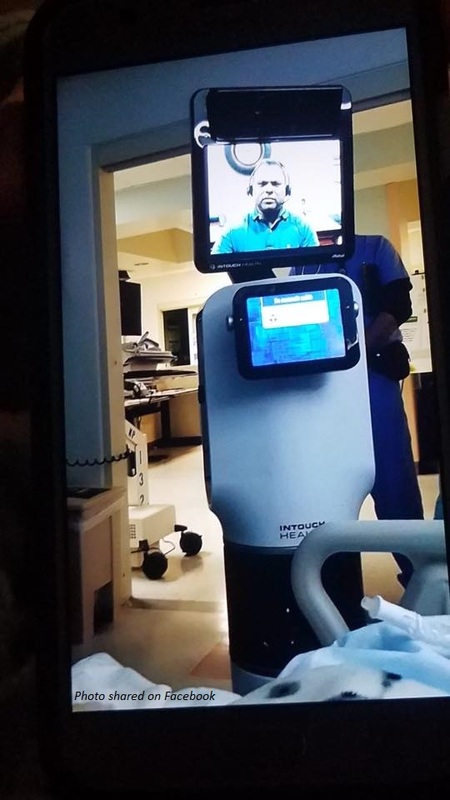 CBS got words from the hospital, “This secure video technology is a live conversation with a physician using tele-video technology, and always with a nurse or other physician in the room to explain the purpose and function of the technology.” The hospital officials strongly believe that technology does not replace the same feeling as having a real conversation with an individual.